We visited a lovely historic saw mill (still in operation, too!) Saturday. It was our first trip in many months. It felt good to get out, even though my unaccustomed leg muscles cramped from the drive. Along the bank of the mill pond are a cluster of thistles. They caught my attention. They are beautiful in a scrappy, majestic way. Don’t you think? The thistle is the national flower of Scotland. Why is that? 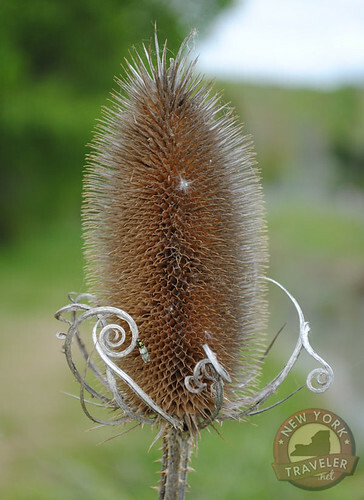 Who would adopt such a prickly, stubborn, tenacious, proud plant for their national emblem? That’s a great picture of the thistle!